Social media marketing is one of the hottest new developments in advertising today. Print advertising and broadcast commercials are still running strong, but social media offers a previously unavailable way to increase brand loyalty. 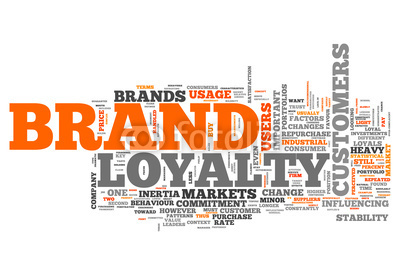 Everyone has seen it before–customers who are so fiercely loyal that they will actively defend their chosen brand. What creates such a loyalty, and how can you use social media to create such a bond with your customers? Your customers like to feel that they’re part of something more significant than a business relationship. One of the best ways to increase brand loyalty is to make your customers feel like friends. Share personal stories with your followers on social media networks. Personal stories make your customers feel like they are part of your inner circle, whether it’s a trip out of town or an adopted puppy who tore up the living room. Of course you’ll want to make sure you don’t get too personal, but sharing the occasional slice of life is a great way to increase brand loyalty. Customers today make their decisions based on more than just prices and products. More people than ever are aligning themselves with brands based on moral and ethical grounds. Customers may start patronizing a business with which they identify, or boycott companies based on issues of moral character. Use your social media accounts to speak your mind about current events and controversial issues. Customers who align themselves with your values will become increasingly loyal, as they feel like they are supporting a good cause. Brand loyalty is built not only by making people enjoy your product, but by cultivating a community of like-minded people who enjoy being around each other. Use your social media accounts to encourage positive discussion among your fans and facilitate connections between people who wouldn’t have met otherwise. You may even be able to organize special events to bring people together in person. There are dozens of ways that you can utilize social media to build a community and increase brand loyalty among your customers. The true power of social media lies in sharing. The average Facebook user has well over 100 friends, which means that every time one of your followers shares a post, it winds up in over 100 news feeds. The people who read these posts can then share them with their own friends, and so on and so forth. The amount of exposure increases exponentially with every share, so encourage sharing among your fans. This is a great way to effortlessly cast a wide net over your target market and find more like minded customers. Last, but not least, don’t forget that you’re running a business. Talk about what you do. Recent developments in the company are interesting to your followers, as are your opinions on industry news. Share your opinions on new text analytics software or major business events and exhibitions. Many of your customers are probably thinking the same things, making them increasingly loyal as they identify with your brand ever more strongly.